On Thursday, Sept. 13, Nintendo held its latest Nintendo Direct, revealing an exciting lineup for the last quarter of 2018 and teasing what is to come in 2019. We’ve got a round-up of all the news that came out of the Direct, as well as the Direct itself, which you can watch below. Yes, it’s actually real! 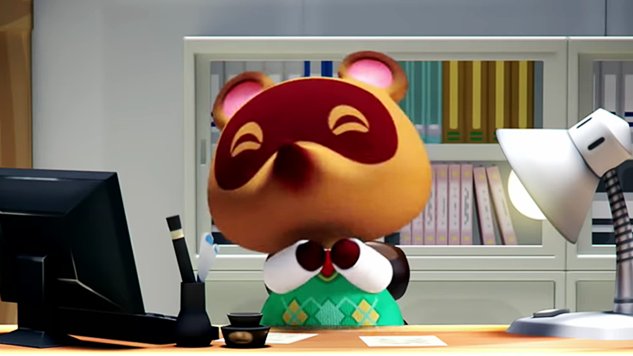 We don’t know much else besides a release year, but know that in 2019, you’ll once again be in (interest-free) debt to Tom Nook. The trailer’s graphics look pretty stunning for an Animal Crossing game, and in the background it plays one of the classic theme songs fans know and love. Maybe, just maybe, it’s loud enough to drown out the screams of the millions of fans who had been waiting for this moment. But probably not. Who says you can’t be cute and also fight crime? Or just other people? That concept doesn’t exist for Isabelle. She’s been promoted from beloved assistant of the mayor in Animal Crossing: New Leaf to the undoubtedly cutest character on the Super Smash Bros. Ultimate roster. The next installment in the spooky Luigi’s Mansion series is currently being developed. It will launch exclusively for Nintendo Switch sometime in 2019. Originally a Wii game, this entry in the series dedicated to everyone’s beloved pink ball will be ported exclusively to the 3DS (it’s still alive!). This version provides a few new features, like giving you the ability to craft bigger yarn balls, summon bead-collecting wind, and play two new modes that feature familiar faces like King Dedede and Meta Knight. The game will come out in 2019. Originally released in 2009, the game is being remade on the Nintendo 3Ds. The game will have revamped graphics and fine-tuned gameplay. It will also include a new side story that “follows Bowser Jr. as he gathers an army, creates formations, supports his allies with an arsenal of moves and generally causes chaos.” It will release on Jan. 11, 2019. In this edition of Luigi’s Mansion, which was originally released on the GameCube, if two players each own the game, they can team up to explore and capture ghosts. The game offers amiibo support that provides a variety of new gameplay features. The spooky title will make its way to the 3DS on Oct. 12. Yo-Kai Watch Blasters will have local and online multiplayer features, allowing players to team up with friends or use the online multiplayer to tackle challenging battles. According to a press release, a free “Moon Rabbit Crew” software update on Sept. 27 will add new missions, new areas to explore, new Yo-kai to befriend and new Big Boss Yo-kai. The Version 4.0 update has been released, and it includes the first set of weapons from the Kensa Collection as well as new Splatfest changes. In early October, Version 4.1 will arrive, bringing a new stage, new songs and more Kensa Collection weapon sets. The new update, which will release on Sept. 19, will bring beloved characters like Birdo, Petey Piranha, Koopa Paratroopa and Shy Guy. The update brings new cooperative multiplayer modes that will be available for a limited time.